The 10th anniversary of the Fête des Vins du Québec launched yesterday at the Marché Bonsecours in Old Montreal. 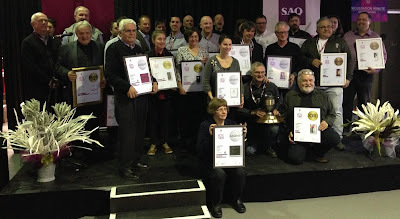 The day began with an awards presentation to Quebec's winemakers and sommeliers. The list of lauréats is provided below. The event presents thirty vineyards arranged in five wine regions: Eastern Townships, Lanaudière, Est-du-Québec, Basses-Laurentides and Montérégie. There is a section devoted to regional, artisanal cheese. You can meet vintners and learn all about the wines and cheeses of Québec, from the production process through appellations and origins and wine-and-cheese pairing. Aficionados can enjoy making new discoveries through workshops, talks and tasting sessions. There is also a room with a range of other food products such as charcuterie, jams, spreads, balsamic vinegar, and chocolates. The quality of the food offered is excellent. Products may be purchased on site. The National Film Board of Canada (NFB) is seeking submissions for its Hothouse apprenticeship program for emerging Canadian animators, now in its 11th season. Canadian filmmakers and artists can apply at http://films.nfb.ca/hothouse by December 11 for the chance to be one of six participants in a 12-week paid apprenticeship program with NFB animation professionals—a one-of-a-kind experience working with the NFB’s Oscar-winning Animation Studio. 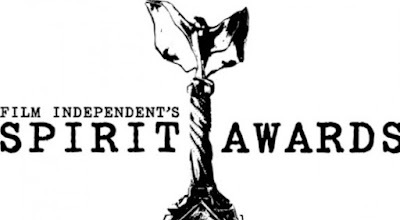 Film Independent, the nonprofit arts organization that produces the Film Independent Spirit Awards, the LA Film Festival and Film Independent at LACMA, announced nominations for the 2016 Spirit Awards this morning. Film Independent President Josh Welsh presided over the press conference held at W Hollywood, with actors John Boyega and Elizabeth Olsen presenting the nominations. Nominees for Best Feature included Anomalisa, Beasts of No Nation, Carol, Spotlight and Tangerine. 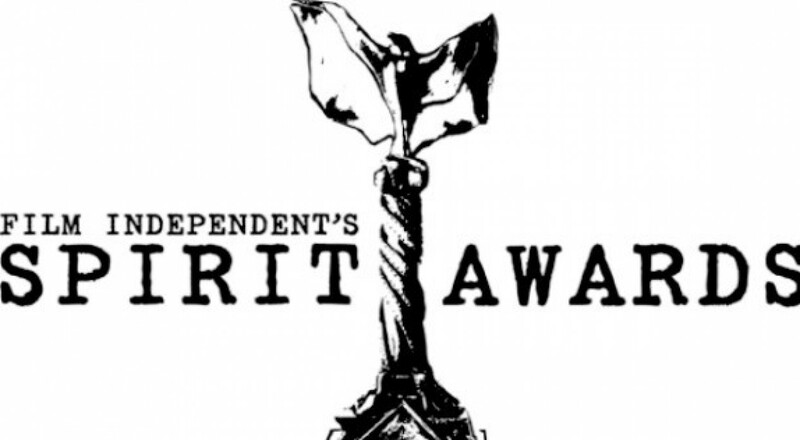 The Producers Guild of America (PGA) announced today its Documentary Theatrical Motion Pictures nominees that will advance in the voting process for the 27th Annual Producers Guild Awards. All other nominations and names of eligible producers for the Award for Outstanding Producer of Documentary Theatrical Motion Pictures will be announced on January 5, 2016. All 2016 Producers Guild Award winners will be presented on Saturday, January 23, 2016 at the Hyatt Regency Century Plaza in Los Angeles. During the awards show, the Producers Guild will also present special honors to Jim Gianopulos, David Heyman and Shonda Rhimes, among others. The 2016 Producers Guild Awards Co-Chairs are Michael DeLuca (SOCIAL NETWORK, CAPTAIN PHILLIPS) and Jennifer Todd (ALICE IN WONDERLAND, CELESTE AND JESSE FOREVER). 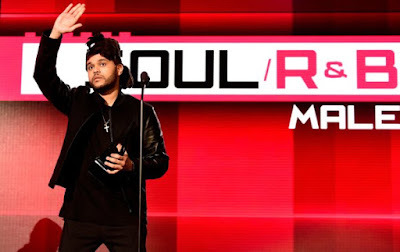 The 43rd Annual American Music Awards took place at the Microsoft Theater in Los Angeles last night. It was hosted by Jennifer Lopez, who led off the evening by dancing to a medley of more than a dozen of this year's hits. Taylor Swift was the big winner of the night with three awards. She won Song of the Year for “Blank Space,” Favorite Album (Pop/Rock) for “1989” and Favorite Artist (Adult Contemporary). One Direction claimed the Artist of the Year prize for the second year in a row. They also took Favorite Duo or Group (Pop/Rock). The Rencontres internationales du documentaire de Montréal (Montreal International Documentary Festival or RIDM) will close tomorrow, Sunday November 22, after presenting 143 films and numerous parallel activities and events. The award winners for the 18th annual RIDM were announced this evening during the closing ceremony at Concordia University’s Alumni Auditorium (H110). image+nation, Canada’s longest-running LGBT film festival, is all set to return for another 10 days of the finest LGBT cinema from across the globe. From 26 November - 6 December, image+nation 28 will bring to Montréal the cream of world LGBT cinema for an incredible 28th year in a row. With a line-up of unflinching, powerful documentaries, beautifully shot art-house creations, hilarious comedies and more, image+nation 28 has something for all tastes. This year, for the very first time, The Montreal Museum of Fine Arts will host image+nation in the cultural heart of Montreal. As well as opening and closing events, the museum will be a primary venue for the duration of the Festival. As part of the image+nation @ MBAM series, where monthly image+nation screenings have been taking place throughout the year, the festival includes Welcome to This House: A Film on Elizabeth Bishop / Where Are The Dolls on Nov 28. image+nation @ MBAM is an intimate series of films and interviews that introduce a new voice and vision exploring the interweaving of identities and cultural expression. 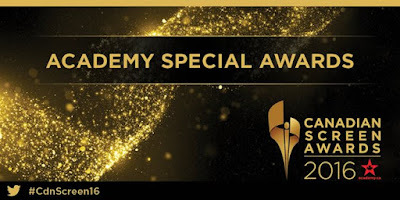 The Academy of Motion Picture Arts and Sciences today announced that 10 live action short films will advance in the voting process for the 88th Academy Awards. One hundred forty-four pictures had originally qualified in the category. The Academy of Motion Picture Arts and Sciences today announced that 10 animated short films will advance in the voting process for the 88th Academy Awards. Sixty pictures had originally qualified in the category. 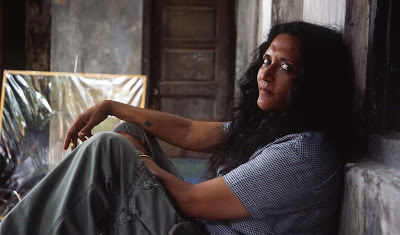 Among the films shortlisted are two works produced by the National Film Board of Canada. They are Carface (Autos Portraits) by Claude Cloutier and If I Was God… by Cordell Barker. Iranian filmmaker Abbas Kiarostami is opening a sublime photo exhibition of 50 life-sized doors on Nov. 21 at Toronto's Aga Khan Museum. Yes, doors. Ancient doors. Wooden doors. Steel doors. Pelling doors. Padlocked doors. All locked, in fact. None with people opening or closing them. None identifying their locations. 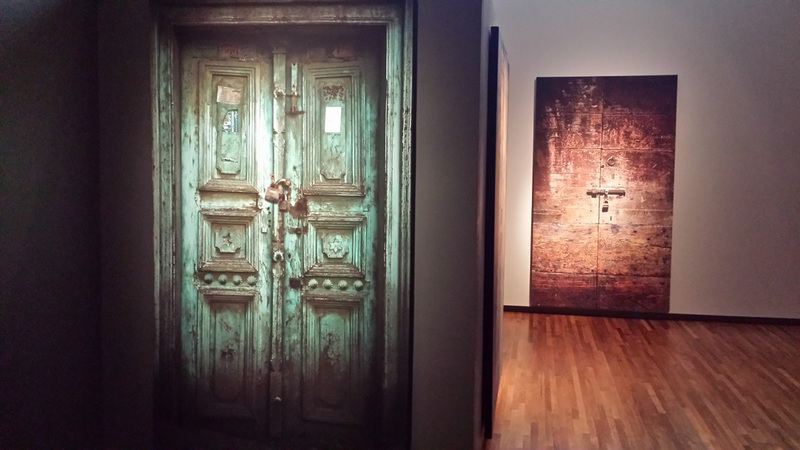 Doors Without Keys is as nameless and enigmatic as the renown photographer-filmmaker-poet intended. I would add haunting and beautiful. Evocatively lighting their fading greens and reds, the doors demand a closer look. Notably, the detail on these images is amazing. You can see the grain of the wood behind the peeling paint. Others lie in mysterious shadow. For others, their chains and locks glisten in the sunlight. Thirty-eight feature films and five shorts will vie for this year’s Cinema Eye Honors awards for Nonfiction Filmmaking as nominees were announced this evening at a reception at CPH:DOX in Copenhagen, Denmark. 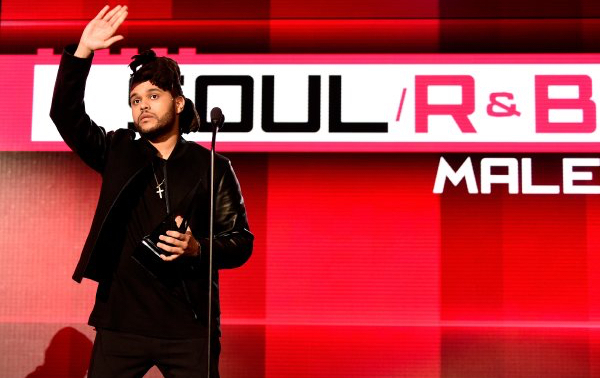 Winners will be announced at the 9th Annual Honors Ceremony on January 13, 2016 at the Museum of the Moving Image in New York City. 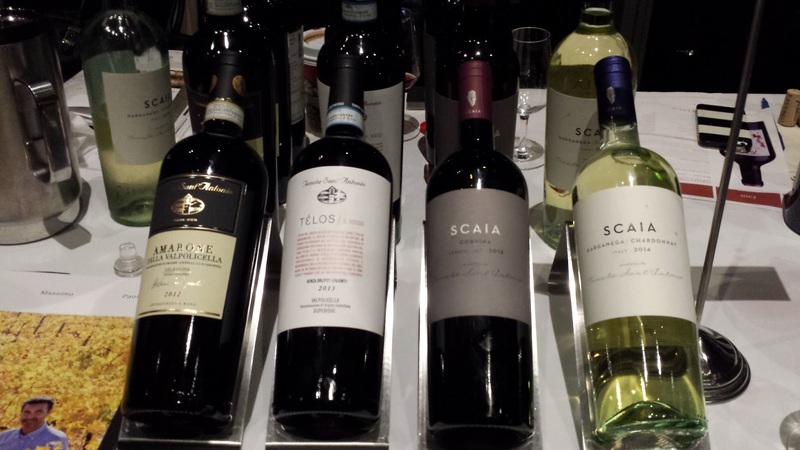 The curtain came down Saturday evening on the fifth edition of La Grande Dégustation de Montréal, which took place November 5, 6 and 7 at Place Bonaventure, Montreal. 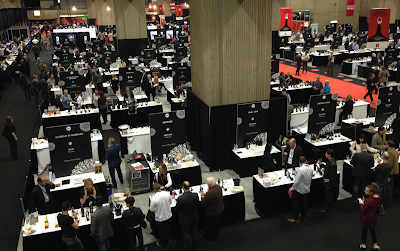 This year’s event marks an important milestone in what has become Quebec’s premier wine event. Presented by the Association québécoise des agences de vins, bières et spiritueux and the Société des alcools du Québec, La Grande Dégustation de Montréal welcomed more than 13,000 visitors over three days. This represents an increase of almost 11% compared to last year. This year’s edition of La Grande Dégustation de Montréal brought togethernearly 200 producers who showcased some 1,200 products. The Academy of Canadian Cinema & Television is pleased to announce six Academy Special Award winners for the 2016 CANADIAN SCREEN AWARDS: Ivan Fecan, This Hour Has 22 Minutes, Ana Serrano, Mark Starowicz, Karen Walton and the Performing Arts Lodges (PAL Canada). "Each of these outstanding Academy Special Award winners has made innovative and stellar contributions to our Canadian screen-based industries," says Academy Chair Martin Katz. "We are extremely proud to celebrate them and their ongoing achievements at the 2016 Canadian Screen Awards." 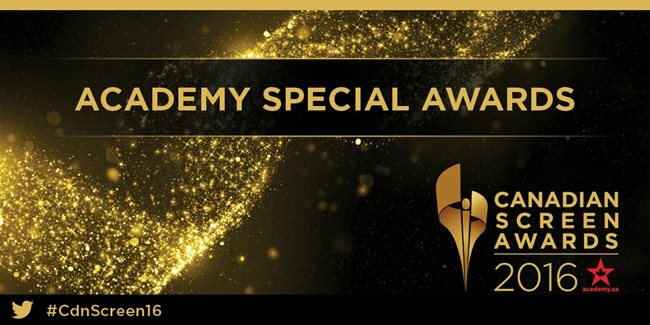 These Academy Special Awards - as well as additional ones to be announced in the coming weeks - will be presented during 2016 Canadian Screen Week (March 7 - March 13, 2016). A fine suite of reds. Tenuta Sant'Antonio's Telos il Rosso Valpolicella Superiore (2nd from left, $24.95) was dryer than the Scaia Corvina (3rd, $14.95) which was noticeably sweeter and exceptionally smooth. Tenuta Sant'Antonio's lone white wine (on the far right), Bianco, was aromatic and strong, but not overpowering. Also under their Scaia label, it was savoury and spicy with a fine finish and, at $13.25, a value wine.